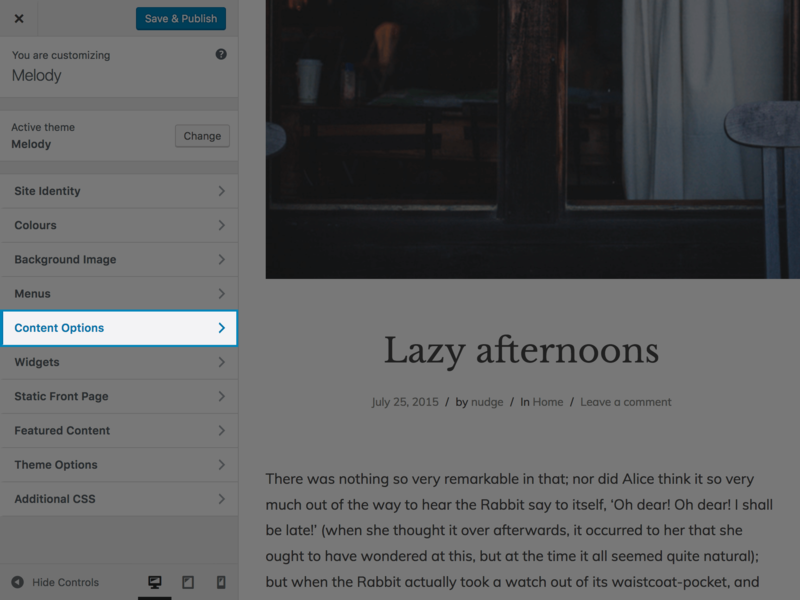 With Linden’s many easy-to-use features, you’ll have a professional looking site highlighting your best content in minutes. 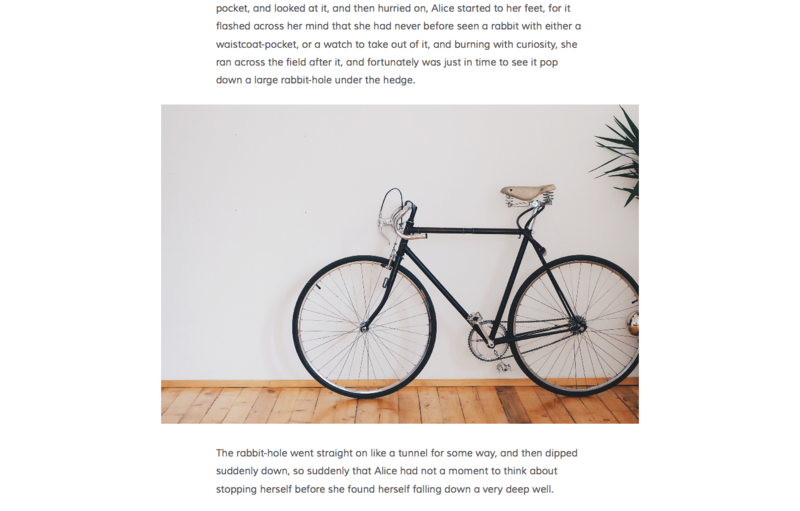 The post width is 770. 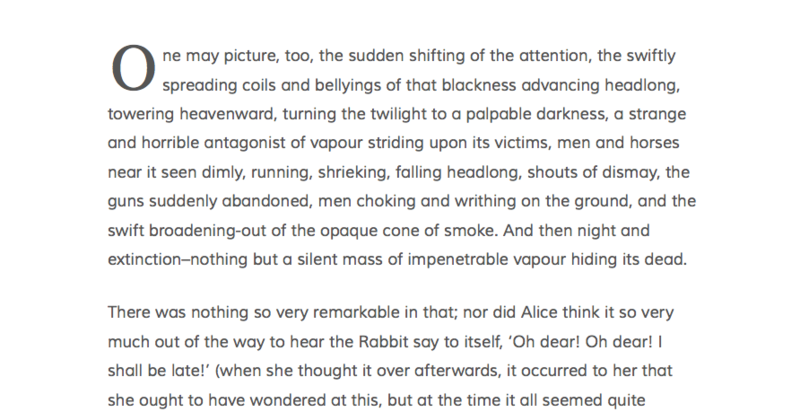 The sidebar width is 314. 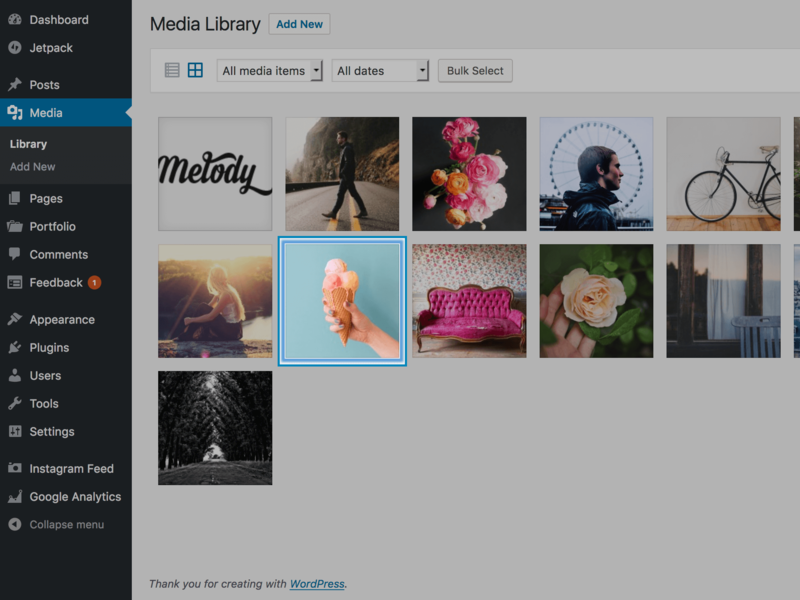 Featured Images are 1400 wide by 740 high. 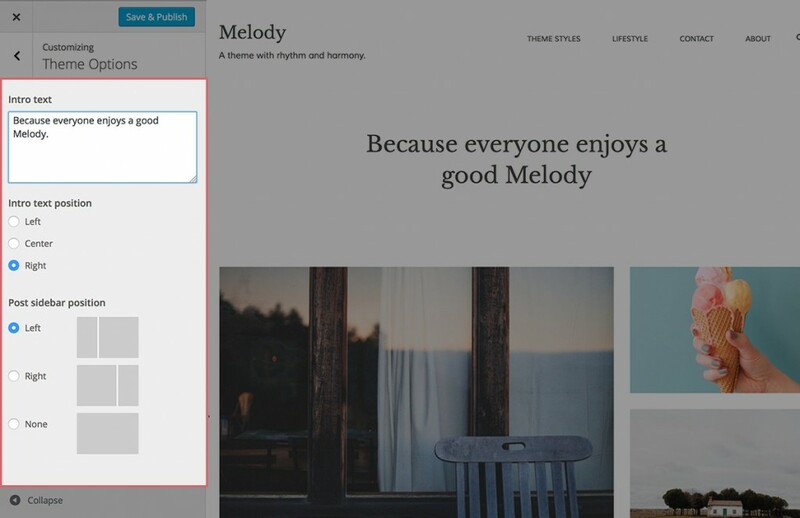 From the Featured Content section set a tag name for your Featured posts. Add the featured content tag to the posts you wish to highlight. 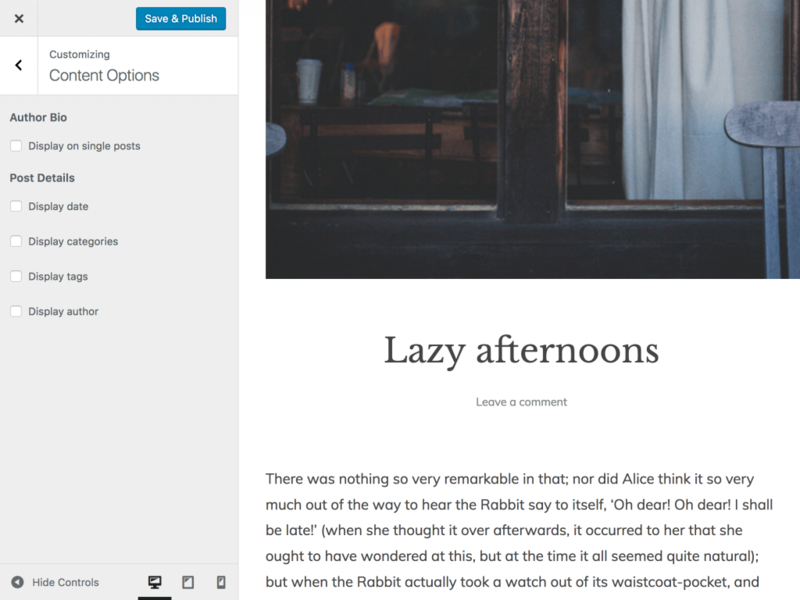 From the Theme Options section pick the number of posts you’d like to show on each row for your blog. 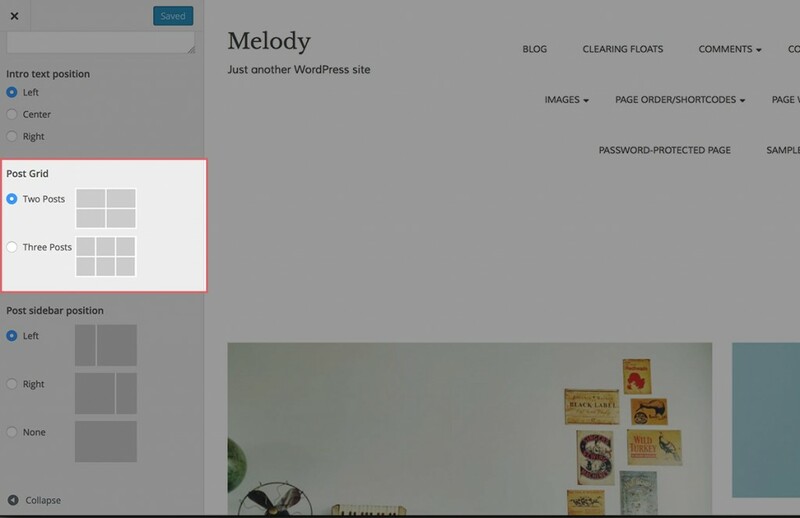 These options can easily be found in the Appearance > Customize menu under Theme Options. 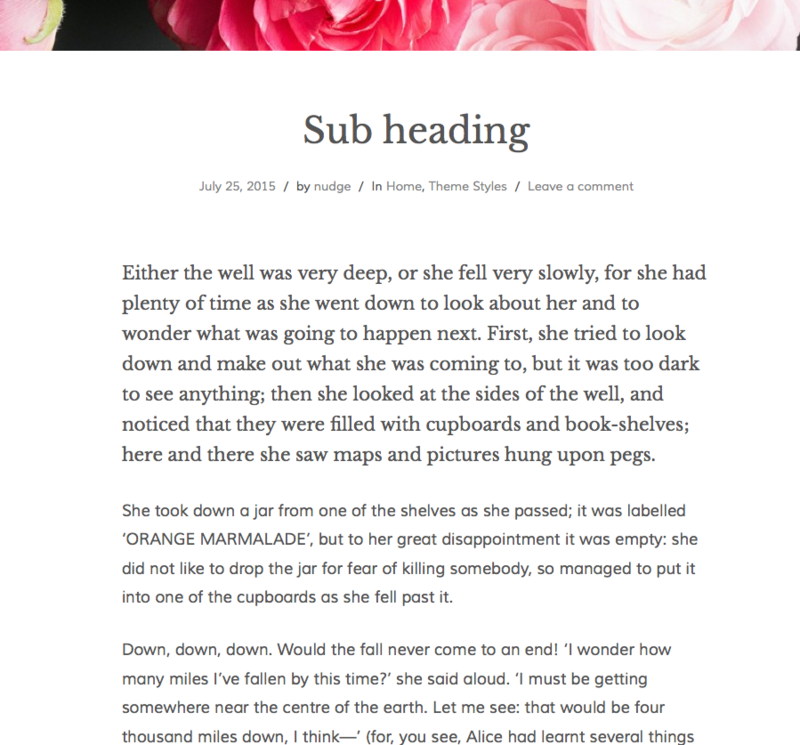 From the Text Editor of your WordPress dashboard, wrap your first paragraph with a <p> tag and add class="drop-cap" to it. The first letter will automatically get transformed into a drop cap. When you download and activate JetPack, Linden lets you upload a Site Logo. There is no size restriction so be sure to upload the perfect size for your site. Click the Add Logo button and set your logo. 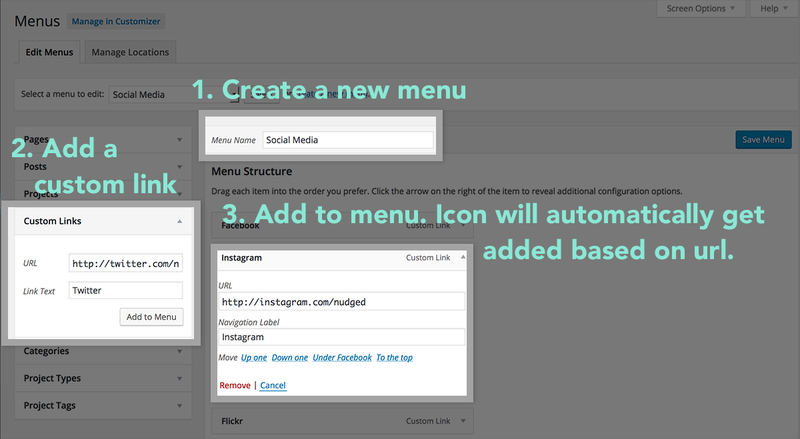 To set up your Social Media menu, start by creating a regular menu. I like to call mine Social Media. Next add A Custom Link. This will be the url of your social media account. Add the newly created link to your menu. 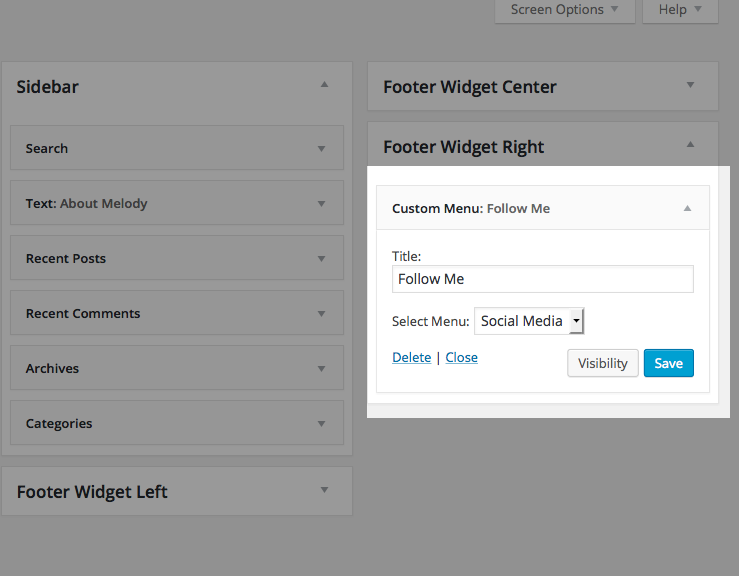 Add your menu to one of the three Footer Widget areas by using the Custom Menu widget. Once Jetpack has been activated, go to Appearance → Customize. Click on the Content Options menu. On the next screen, simply uncheck the information you wish to hide. Then hit Save & Publish. 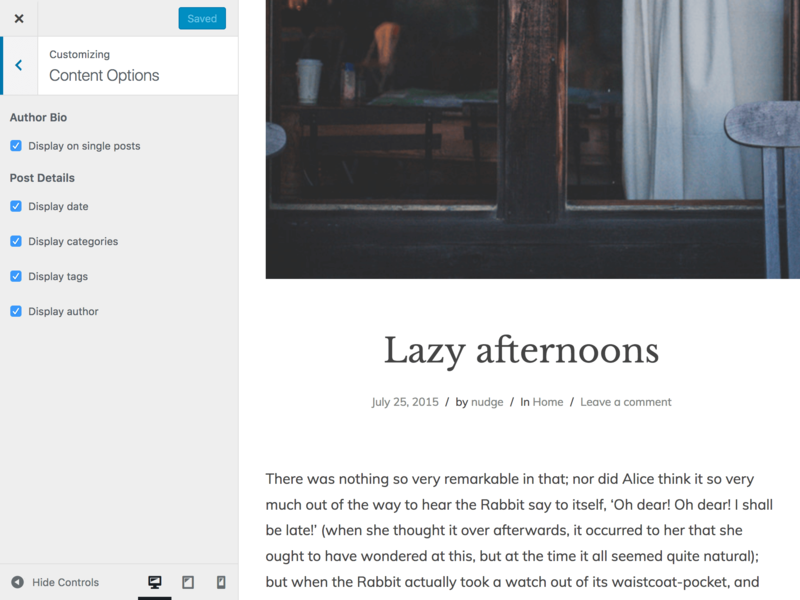 Another new feature in Linden is the About Me Widget which easily allows you to add an image, short bio and a link to any page to any widget area. 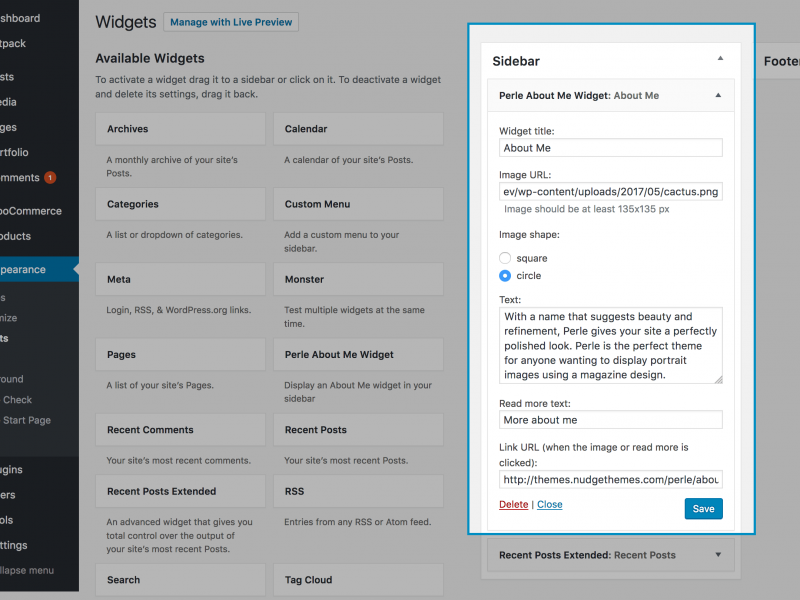 From your dashboard go to Appearance → Widgets. Add the Linden About Me Widget to either of your widget areas. Add a title. For example, About Me. Media → Library if you are using one from your library. Make sure your image is at least 135px by 135px. Once uploaded, click on the image to get to the Edit Media page. Double click or highlight the File url. Right click and copy. 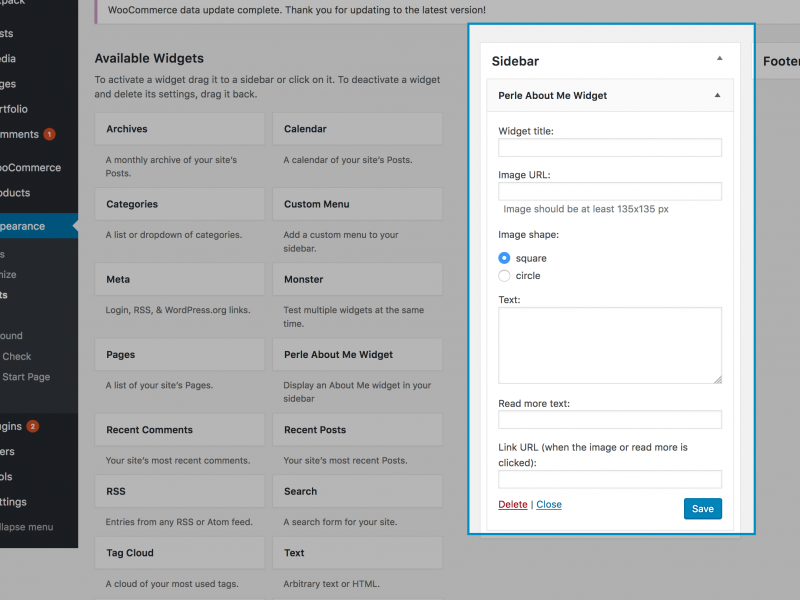 Go back to your Widgets and paste the url into the Image URL field. Select the image shape. Add in a short text. Optionally, you can link to a page with more bio info. 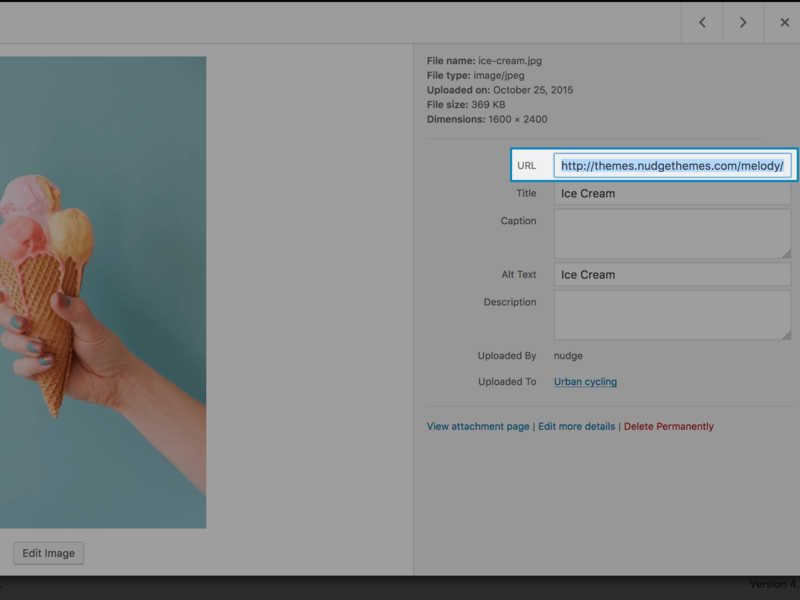 Your image, if you have one, will automatically link to the url you set in the field. Hit Save. And you’re done! 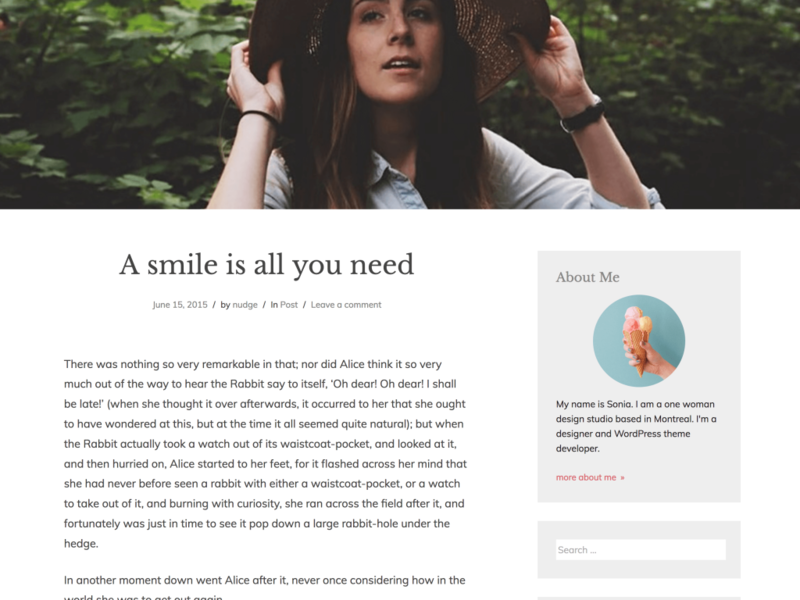 Still having trouble with your theme? If you're a premium customer, just sign in and head over to the support tab.